Hello, esteemed readership! Due to an insane work load this past week, I have neglected to comment on the crazy amount of Shadowland news coming out. Shadowland has gone from being the small event that I think most of us expected to having a number of tie-ins and mini-series. I will not cover them all here in any detail (I refer you instead to Kuljit Mithra’s excellent Shadowland page at the Man Without Fear website), but I thought I’d just offer some of my own impressions on what we’ll be seeing. In September, we’ll also be seeing a Shadowland: Elektra one-shot which I’m really looking forward to. On writing duties for that issue is Zeb Wells who wrote the highly enjoyable five-issue mini-series Dark Reign: Elektra last year. I liked his take on the character, and am looking forward to seeing him handling Elektra for this issue. 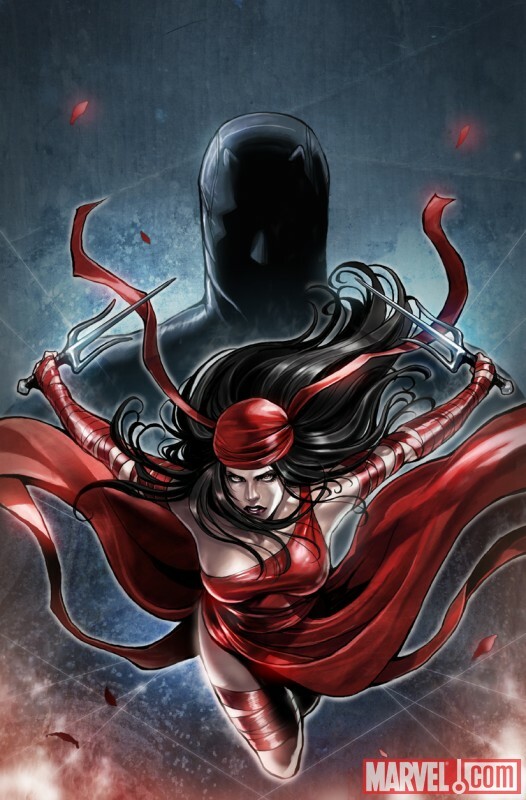 I’m actually pretty curious about Elektra’s role in Shadowland generally because of her obvious ties to both The Hand and Matt Murdock. Her appearance in Daredevil #506 was certainly haunting enough. September also sees the first of the two issues of Thunderbolts to tie into Shadowland. I already have this title on my pull list and have really enjoyed Jeff Parker’s work on the title. With Luke Cage as the new guy in charge, this makes perfect sense. So, really looking forward to Thunderbolts #148-149 as well. However, let’s get back to what we have coming out in August. There are quite a few interesting concepts being explored here. We see the launch of a brand new hero taking up the mantle of Power Man in Shadowland: Power Man, the unlikely team-up of an eclectic mix of B and C-listers in Shadowland: Blood on the Streets and a look at the women of The Hand in the Colleen Wing-centric Shadowland: Daughters of the Shadow. Because these titles seem to explore new areas and combinations of characters, they strike me as being unusually accessible. When you play with some of the less well known characters of the Marvel Universe you have to make the stories stand alone in more obvious ways compared to stories featuring well-known characters with richer and more famous histories. We probably won’t see Daredevil in all of these titles, but I’m interested in picking them up on their own merit. What are your thoughts on these tie-ins? Will you be picking up all of them or just a few and which are you most curious about? Let us know in the comments section! Holy craaaaaap, that’s insane. I thought it was only going to be one miniseries! How am I going to keep up with all this? I think I might only follow the ones that Daredevil actually appears in. My dilemma is that I don’t generally buy single issues; I like buying trades. So with a crazy event like this, I don’t know what will actually be collected in trades and how. I presume the main Shadowland series will get its own book, but I don’t know about the others. I’m more inclined to pick up one-shots since they’re low-commitment, so I may check out those for kicks. Or I may wait until you post to see what’s worth reading and/or buying. The Daughters of the Shadow sound like an interesting mini, though. I may follow that one, if not buy it, and hope it gets collected in a trade. I’ve given a fair bit of thought about how I’m going to follow this event as I have read the announcements about each new mini and one-shot. Since money is a bit of an issue I won’t be getting everything. Instead, I will focus on the main Shadowland series, DD, and trades for the minis (I’m really looking forward to Moon Knight, and Blood on the Streets since I really like the characters assembled and how often do we get a story that focuses on them? ), but not the one-shots. I will be very curious to see which of these titles moves the Shadowland plot forward and which merely have stories occuring in the Shadowland world, if that distinction makes sense. My initial thought is that the Power Man mini sounds like it falls into the latter camp, and that diminishes my interest in it, though I enjoy Luke Cage as a character. I would not be at all surprised if Shadowland: Spider-Man also fell into this camp. I remain most excited about Blood on the Streets and Daughters of the Shadow. Maybe this just means I like minor characters getting their time in the spotlight, though perhaps it’s also an expression of my belief that more can happen with relatively minor characters in a miniseries than can happen with a major character. 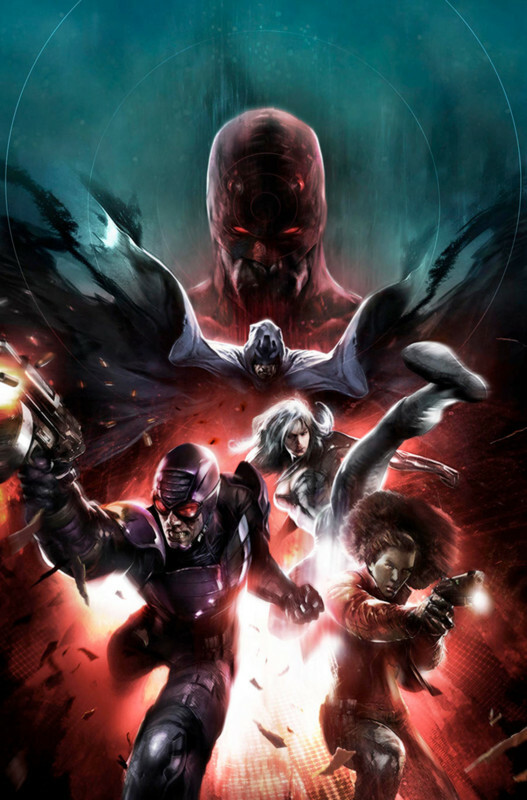 Nothing ground-breaking will happen to Daredevil in any of these miniseries; something big could happen to Misty Knight or Colleen Wing though. For those who are Moon Knight fans, Tom Brevoort said on his Formspring page that the Vengeance of the MK title will becomes Shadowland: MK, which I take to mean that the latter title will die with Shadowland. I’m definitely gonna try my best to get every issue that ties into Shadowland, just because I’m cursed with being a completist. But in any case, I am interested to see how the stories fit together. I too am one of those fans who loves to see more obscure characters get their own stories. I recently began reading the Vengeance of the Moon Knight series and I’m loving the character, so I definitely want to see how Moon Knight fits into all this mess. Personally, I’m a fan of Ghost Rider, so I’ll be looking out for that one-shot. I also read somewhere that there’s an important plot thread that the Ghost Rider story provides. I haven’t read any Elektra-related stories in a while, so that should be fun as well. The last Elektra story I read was way back in Elektra: The Hand, lol. @David I wouldn’t consider this a “Mega-Crossover” at all. While Siege had tie-in issues in New Avengers, Mighty Avengers, Dark Wolverine, Dark Avengers, Thunderbolts, Avengers: The Initiative, Thor, and (I think) New Mutants, this series has tie-in issues with only Daredevil and Thunderbolts. All the rest are miniseries/one-shots written specifically for this event. I’m going to be sticking with the main series, Daredevil, and Blood of the Streets, for the simple reason that they are all written by Diggle and Johnston. They are the main scribes behind this event, so everyone else is just additional stuff, that I figure will not play a big part in the main plot of Shadowland. Might come back for the trade of those whenever they do come out. The one-shots do have some really good creative teams behind them though. Oh, and I normally get Thunderbolts, so count that one too.